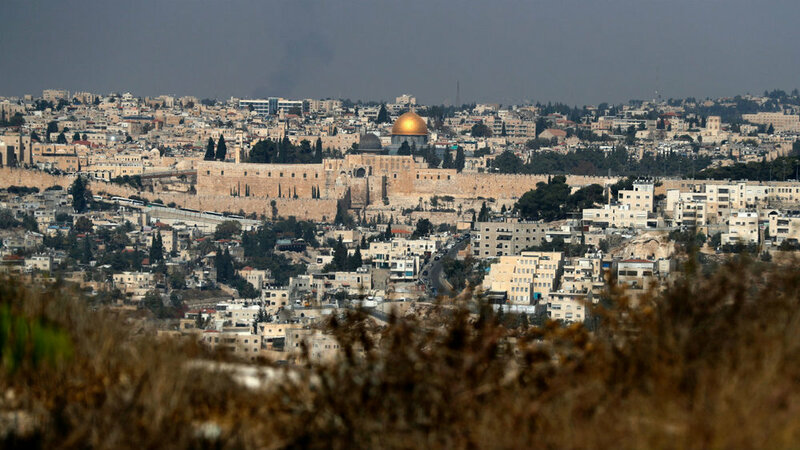 ISRAEL: February 13-23, 2020 (Program #200204) — Christian Travel Study Programs, Inc.
Day Nine: (Friday, February 21, 2020) The Messianic Promise. Messianic Expectations and Disappointments: With a view of the history of "other Messiahs" we will discuss the expectations for the Messiah, and their relationship to the record of the preaching of Jesus. Our day begins with a panoramic overview of the city of Jerusalem from the Mount of Olives. At the bottom of the slope we will see the ancient olive trees and walk in the Garden of Gethsemane where Jesus prayed. Day Eleven: (Sunday, February 23, 2020) Return Day. Feb 13-23, 2020 TOUR PRICE OF $4299 INCLUDES air from Cleveland, OH, group transfers, hotels, Israeli buffet breakfast and dinner daily, tips for group services, full sightseeing, the services of English-speaking lecturers, syllabus, local guide (where required) and all entrance fees to sites as listed in the program. All taxes and surchcarges in effect as of March 1, 2019 are included. If additional surcharges or taxes are imposed by the airlines or governments, any additional amounts will be the responsibility of the passenger. This program will operate with a minimum of 30 passengers. YOUR ACCOMMODATIONS are based on double occupancy in a twin bedded room with private bath.. There is a supplemental charge of $765 if you prefer a single room. Individuals enrolling without a roommate may request to be matched with a roommate. In the event that a roommate is not available, individuals will be subject to the single supplement charge. All single rooms are subject to availability and may be smaller than normal twin rooms. PAYMENT: A nonrefundable deposit of $300 per person, is required to secure your place on the program. (Deposit may be refunded only if CTSP withdraws the offer of the program.) I understand that a second payment of $1700 is due July 15, 2019 and Final payment is due in CTSP’s office by November 13, 2019. Thereafter, a late payment fee of $100 per person per month will be assessed. Insurance purchased within two weeks of CTSP receiving original deposit is the most economical, and may cover pre-existing conditions. Go to www.studytrip.info and click on the travel insurance icon. ITINERARY LENGTH: Flight times are subject to change without advance notice. CTSP is not responsible for changes and delays in airline schedules and does not reimburse passengers for expenses resulting from delays. Because airlines often change flight times and dates at the last minute, CTSP strongly recommends the purchase of any connecting tickets which can be changed without heavy fees and penalties. If airline(s) change flight schedules, CTSP reserves the right to lengthen or shorten the itinerary accordingly, and whenever possible, you will be notified in writing. If changes necessitate extra overnights, you will be charged (per person, per night) US$120 double occupancy, or US$220 for single rooms (includes single supplement). AIRLINE ARRANGEMENTS from Cleveland (CLE) are included in the full tour price. Air Transportation will be economy class aboard regularly scheduled carriers utilizing non-refundable, non-transferrable, non-amendable tickets. Once your ticket has been written, it cannot be rewritten or refunded.